THE MAYBELLINE STORY : Maybelline welcomes Mabel's husband, Chet Hewes, into the family business. Maybelline welcomes Mabel's husband, Chet Hewes, into the family business. 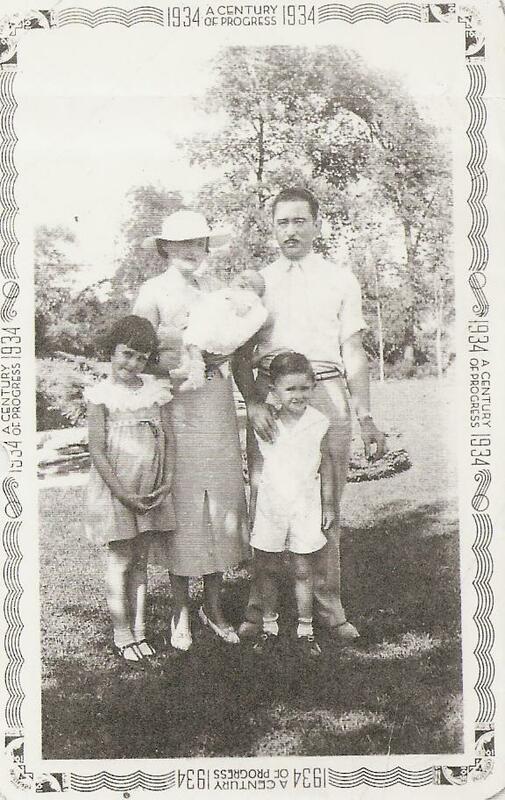 Tom Lyle's brother-in-law, Chet Hewes, joins the Maybelline Company and becomes part of the Executive staff by 1934. 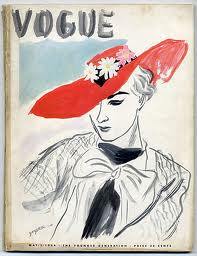 Vogue, in 1934, continues to be the leader in style, glamour and fashion. Notice how Mabel has a similar hat on, in the picture below. 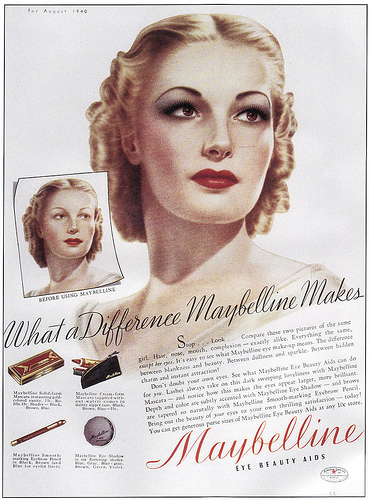 Maybelline remaines the undisputed leader, in Eye fashion, the world over in 1934, with a new modern, line of products. 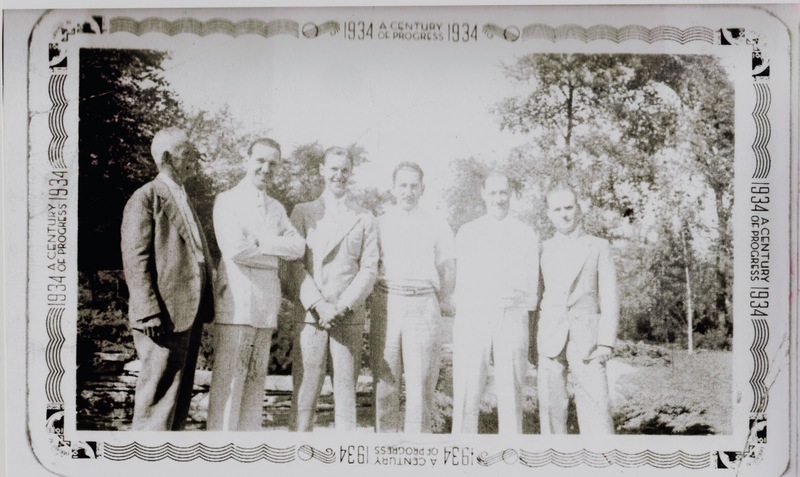 The executives at Maybelline, in 1934: Papa TJ, Tom Lyle, Tom Jr, Chet Hewes, Ches Haines, Noel Williams. (Rags Ragland isn't in this picture, just the Williams family. Seven years after their Wedding, Mable and Chet establish their family, with three beautiful children, Shirley, Tommy and Baby, Joyce Mae. Shirley says, "Tom Lyle asked my father, to come to work at Maybelline for years because he was a hard worker and had advertising experience, but he was loyal to Montgomery Wards. In about 1932 or 1933 a new management team fired all the top-level staff, including my father, so he finally agreed to join the family business." 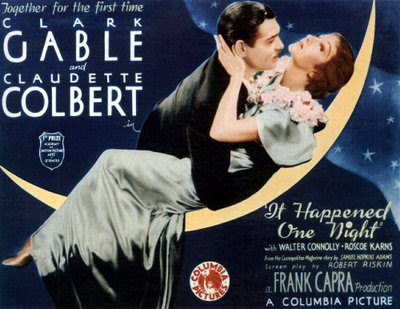 Because of a nighmare lawsuit with FDA over the Lash Lure cosmetic co in 1933, Tom Lyle, had Chet Hewes, open The DeLuxe Mascara company. Read all about it in Cosmetics and Skin. By James Bennett. Other exciting events that took place in 1934. 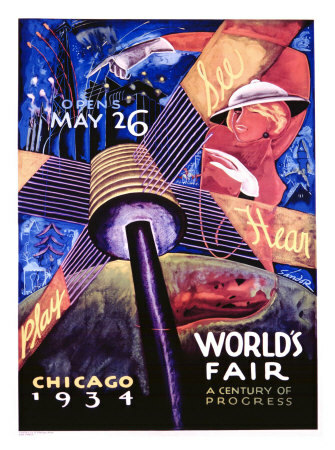 The 1934 Chicago World's Fair. Tom Lyle found a custom, 1934 Packard Victoria and bought it on the spot. 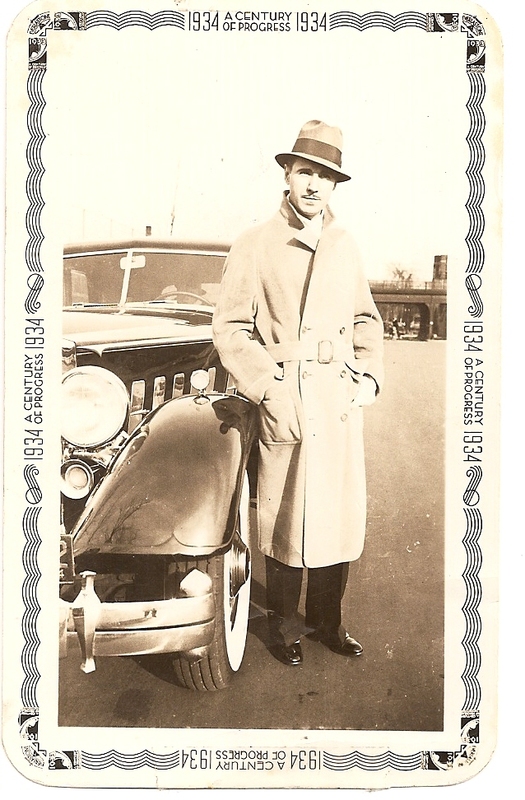 Tom Lyle with his new 1934, Packard Victoria. - Prohibition was repealled the year before, (1933,) after 13 years of chaos, created by it's wrath. - John Dillinger, Baby Face Nelson and their gang rob the First National Bank in Mason City, Iowa. - Clyde Barrow and Bonnie Parker kill 2 young highway patrolmen near Grapevine, Texas. - John Dillinger and two others shoot their way out of an FBI ambush in northern Wisconsin. - New Deal: U.S. President Franklin D. Roosevelt signs the Securities Exchange Act into law, establishing the U.S. Securities and Exchange Commission. - Outside Chicago's Biograph Theatre, "Public Enemy No. 1" John Dillinger is mortally wounded by FBI agents. - Adolf Hitler becomes Führer of Germany, becoming head of state as well as Chancellor. - Charles Arthur "Pretty Boy" Floyd is shot and killed by FBI agents near East Liverpool, Ohio. - A running gun battle between FBI agents and bank robber Baby Face Nelson results in the death of one FBI agent and the mortal wounding of special agent Samuel P. Cowley, who was still able to mortally wound Nelson.